The UF Health Precision Medicine Program was presented a 2018 Finalist Award for Excellence in Medication Safety. Rhonda Cooper-DeHoff, Pharm.D., M.S., FAHA, FACC, an associate professor of pharmacotherapy and translational research, was awarded the 2018 Award for Sustained Contributions to the Literature. 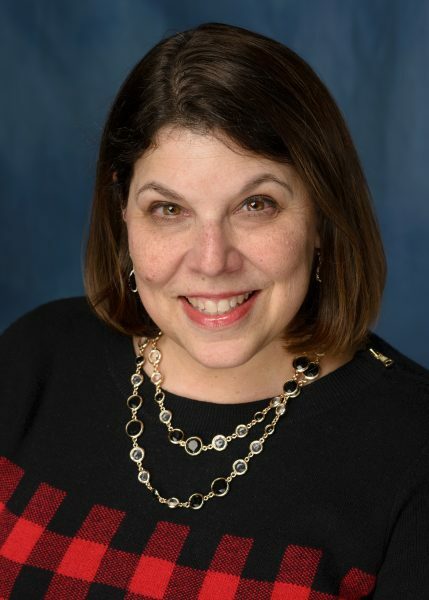 Almut Winterstein, R.Ph., Ph.D., FISPE, a professor and the Dr. Robert and Barbara Crisafi Chair of pharmaceutical outcomes and policy, was selected for the 2018 Pharmacy Practice Research Literature Award. For her more than three decades of contributions to biomedical literature, the American Society of Health-System Pharmacists, or ASHP, Foundation awarded its 2018 Award for Sustained Contributions to the Literature to UF College of Pharmacy Associate Professor Rhonda Cooper-DeHoff. The award was presented Dec. 5 at the ASHP Midyear Clinical Meeting in Anaheim, California. Cooper-DeHoff has published more than 170 peer-reviewed articles during her three decades as an academic writer. Her research interests include pharmacogenetics, hypertension, metabolic syndrome and diabetes. She has published in some of the most respected medical journals in her field, including the Journal of the American Medical Association, or JAMA, Nature, Hypertension and the Journal of the American Heart Association. Among her most cited research articles was a 2010 publication in JAMA evaluating outcomes among diabetics with hypertension and coronary disease. This paper showed that in high risk population, lowering blood pressure too much can result in increased adverse outcomes, including death. 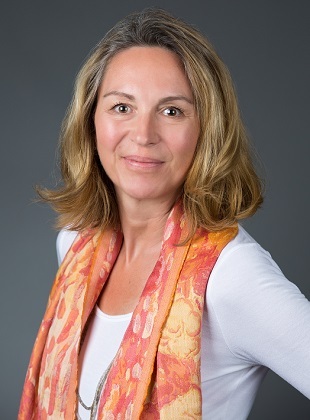 In addition to her associate professor role in the UF College of Pharmacy, Cooper-DeHoff, Pharm.D., M.S., FAHA, FACC, serves an associate professor in the division of cardiovascular medicine in the UF College of Medicine and associate director for the UF College of Pharmacy’s Center for Pharmacogenomics. She is recognized a Fellow of the American Heart Association and the American College of Cardiology. In the past decade, she has won numerous national awards recognizing her contributions to research and literature. ASHP Foundation’s Award for Sustained Contributions is presented annually to a pharmacist who has a track record for publishing high quality and impactful biomedical literature for a minimum of 20 years. The ASHP Foundation has been presenting the award since 1971, and Cooper-DeHoff is the first UF College of Pharmacy awardee since Charles Hepler, Ph.D., in 1997. 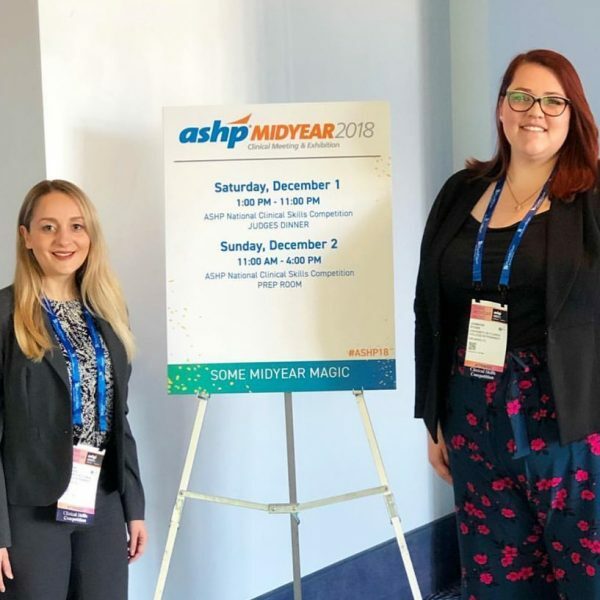 A novel risk score that uses electronic health record data to project the risk for adverse drug events in hospitalized patients received the 2018 Pharmacy Practice Research Award at the ASHP Midyear meeting in Anaheim, December 5. ASHP Foundation bestows the award annually to an outstanding original contribution in peer-reviewed biomedical literature related to pharmacy practice in hospitals and health systems. This year’s award was presented to a group of researchers from the University of Florida College of Pharmacy and the UF Health Shands Hospital. The risk score, tied into electronic health records, or EHRs, calculates the risk for 16 severe adverse drug events in the early morning to focus clinicians on patients who need enhanced medication therapy management. Using more than 300 distinct clinical characteristics from the EHR, the score guides clinicians to patients at greatest need. For example, by just focusing on the top 5 percent of patients ranked according to their risk for severe hypoglycemia, more than half of all patients who will experience hypoglycemia are captured. A key difference between this risk score and traditional clinical decision support systems is its holistic approach. Common tools are action-specific, alerting clinicians about a particular error such as an overdose or a drug-drug interaction. The ranking approach aims to cut down on alert fatigue, which occurs when clinicians become bombarded with irrelevant alerts, causing them to miss important ones. A portion of the score that focuses on severe hypo- and hyperglycemia has been implemented at UF Health hospitals in Gainesville and Jacksonville and has proven to reliably predict patients at greatest risk. Evaluations of its effectiveness to reduce the incidence of adverse events are ongoing. 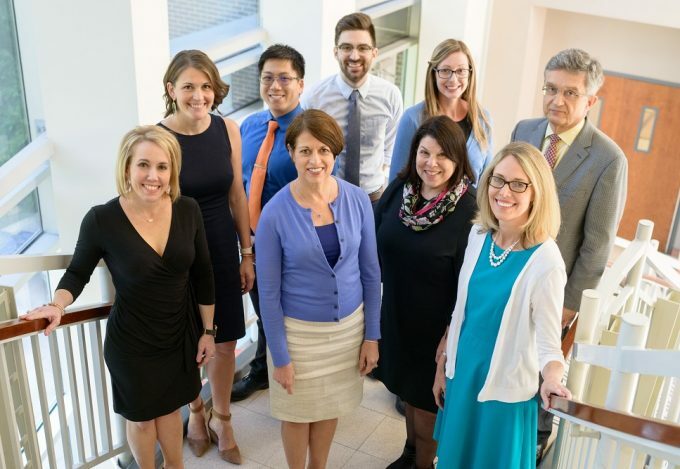 “This research was really the perfect alignment of our prior work and a concrete clinical need that was defined in the ASHP Practice Advancement Initiative,” Winterstein said. The next step in her research is to validate and implement the risk score in other health systems. Amanda Al-Bahou, right, and Jennifer Ryder, left, finished in the top 10 of the Clinical Skills Competition at the American Society of Health-System Pharmacists Midyear 2018 Meeting in Anaheim. A pair of University of Florida College of Pharmacy students placed top 10 in one of the nation’s most competitive pharmacy competitions. Jennifer Ryder and Amanda Al-Bahou, fourth-year Pharm.D. students from the Orlando campus, finished among the top 10 of 139 teams competing in the Clinical Skills Competition at the American Society of Health-System Pharmacists Midyear Meeting in Anaheim. The Clinical Skills Competition is an interactive, team-based analysis of clinical scenarios for hospital and health-system pharmacists. Ryder and Al-Bahou were presented with a patient case and had two hours to come up with an evidence-based care plan for the patient. All 139 teams submitted a written care plan, and the top 10 scoring teams advanced to an oral round of the competition. The oral portion featured a two minute presentation, followed by eight minutes of questions from a panel of judges. Each pharmacy college in the nation was allowed one team in the Clinical Skills Competition. Ryder and Al-Bahou won the honor of representing the UF College of Pharmacy, after competing in a college-wide contest this fall.